During the Great Depression in the 1930s, farm families in the plains of mid America experienced a devastating six year long drought. With no moisture or plant roots to hold the soil, it blew away in billowing clouds which choked people and covered everything. Farmers were left without any natural or economic resources. 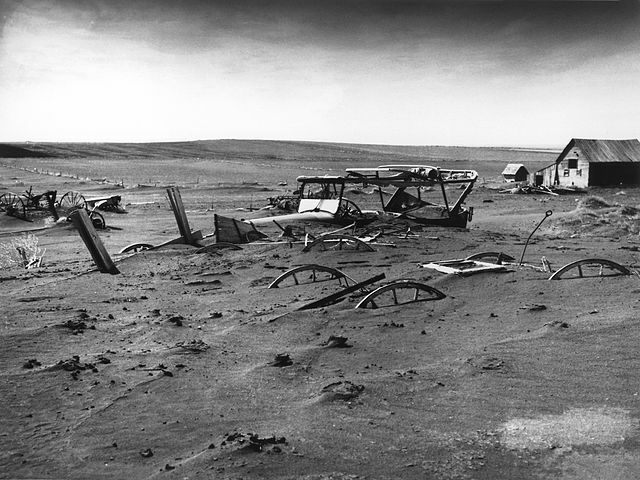 They became “dirt poor,” and the area became known as the Dust Bowl. Seeking a way to prevent additional loss of soil resources, President Franklin D. Roosevelt asked Hugh Hammond Bennett to employ his vision and knowledge of conservation to implement his coordinated, comprehensive plans for conservation farming. In 1935, The Soil Conservation Service was established within the United States Department of Agriculture, through the Soil Conservation Act. The new conservation farming system provided farmers with money for seed, fertilizer, equipment, and labor to install terraces, waterways, and fences and to improve pastures. At first, it was thought the federal government, through the Soil Conservation Service, could manage the whole program, but during the initial two years it learned the task needed local support and direction. The Soil Conservation Service needed farmer’s help and cooperation to put together an effective program. In 1937, President Roosevelt asked all state governors to promote legislation to allow the formation of soil conservation districts. This began a partnership that exists today. And out of the dust rose Soil and Water Conservation Districts. 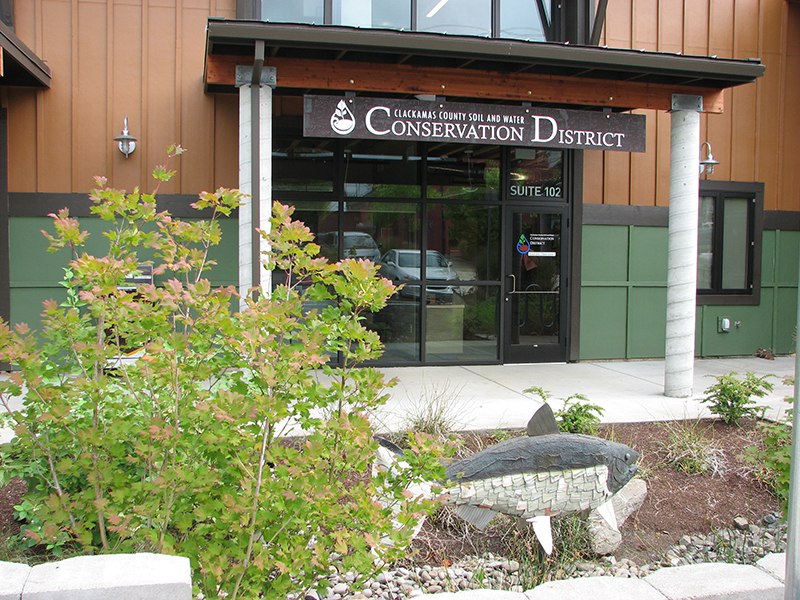 Stop by our office for assistance with natural resource issues! Our timeline is shown below. Click here to read more about us! This is a record of zone changes within the Clackamas County Soil and Water Conservation District boundary. This is the record of forming the Clackamas County Soil and Water Conservation District in 1974 from the combination of the North Clackamas SWCD and the South Clackamas SWCD. This is a copy of the actual measure language as published in the voter's guide for the 2006 general election. Actual results from the 2006 vote on the Clackamas County Soil and Water Conservation District's request for voters to authorize a permanent rate limit.